Hard-working, creative and valued employees are the most powerful assets available to any business. That’s why it makes sense to protect against the loss of certain key members of staff, bolstering your company against the financial and operational fall-out of such an event. There are a range of life insurance plans which cover key employees, shareholders, directors and partners where required. 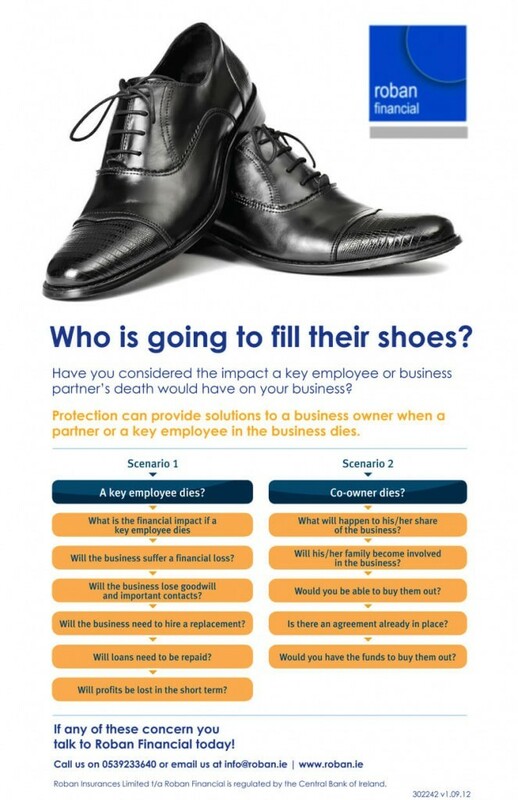 Key Person cover provides protection against the loss of an extremely valued employee of high financial or strategic importance to a business. Co-director Insurance can bring security and stability to a company’s directors. In the event of the death of one of the directors, it will allow the surviving directors to buy the deceased’s shares from their next-of-kin if these unfortunate events occur.